The Fifteenth Hole is the shortest on the course, but a ton of fun to play. 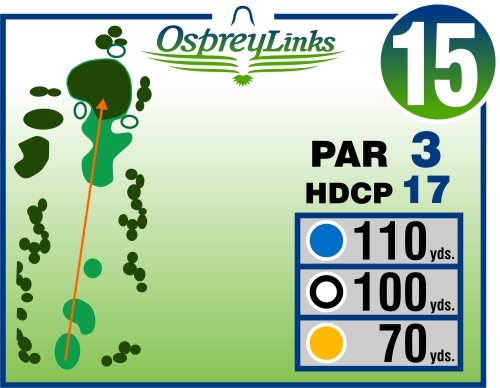 Great hole for a wager for closest to the pin within your group. From an elevated tee, you will be hitting a short iron or wedge to the green at the bottom of a fairly steep slope. Careful though, the shot can be deceiving as the green is well guarded with bunkers and sometimes what you expect to be an easy shot, is not!